SHANKHNAD.ORG: Saint Patrick Day- Another conversion guy called saint. 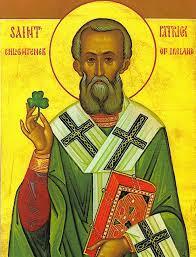 Saint Patrick Day- Another conversion guy called saint. Legend says St. Patrick was actually born Maewyn Succat, but that he changed his name to Patricius (or Patrick), which derives from the Latin term for “father figure,” after he became a priest. And that supposed luck of his is the root of all the themed merchandise for modern St. Patrick’s Day. Saint Patrick's Day is observed on 17 March, which is said to be the date of his death. It is celebrated inside and outside Ireland as a religious and cultural holiday. The man killed pagan druids who were Indian Hindus with tattoos of Shiva Lingam with a snake on their arms. They were vegetarian not meat eating as told lie by Vatican Pope. St Patrick got his orders from the Pope Leo the great ( Leo 1 ). St Patrick was used by POPE LEO THE GREAT as a mass murderer and a torturer. Emperor Valentinian III used Pope Leo 1 to bribe Atilla the Hun to cleanse all druids in his path. This cleared the way for future Papal authority and Christianity . Druids ( Dryuhus ) were Hindu sages who believed in immortality of the soul , the theory of re-incarnation , laws of Karma and the law of cosmic change PRALAYA - breathing in and out by brahma dissolving the cosmos and rebuilding it all over again. 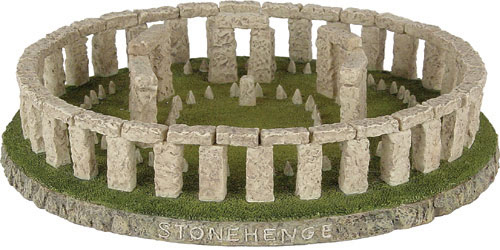 It was ,Druids who built the Stonehenge. Druids were polytheistic and had female TRINITY multi armed gods . They were excellent is astronomy and astrology. The chief of the druids wore golden robes . 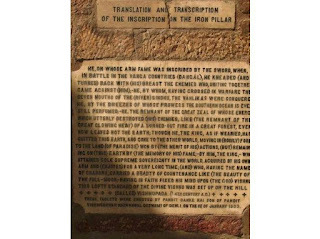 Their fire sacrifices ( no blood letting )involved uttering Sanskrit Hindu mantras. It is a WHITE LIE that druids did human and animal sacrifices. Ancient Celts engaged in ritual killing but druids were vegetarians and did NOT kill even animals. Almost all Shiva lingam temples are now covered over by ancient Cathedrals..
Every Druid knew the Vedas by heart. Tacitus, the adventurer Roman historian had written in ancient days the druids conducted marriages and the couple went around the holy fire 7 times clockwise. The Icelander saga-the Edda- contains creation passages that are Upanishadic in tone and meter. Rígsþula or Rígsmál is a Norse god named Ríg ( Brahma ) the father of mankind. rick exterminated the Druids using Attila the Hun. 700 years of Roman warfare enmeshed with Holy Roman Church hegemony (including Ireland) virtually extinguished the flames of the Pagan Hindusim. They destroyed every vestige of Druids. Druids were given a bad name that they sacrificed humans and animals , when all they did was to put cows ghee into the fire..
Celtic Gods are still called deuos ( devas ). The celtic sun god is Surios ( surya ). The celtic God of fire is Ughnee ( agni ). The celtic word was soul is atnam ( atman) . 27 X 4 = 108, THE HINDU HOLY NUMBER . There is a divine ratio of 108 , between earth, moon and sun. 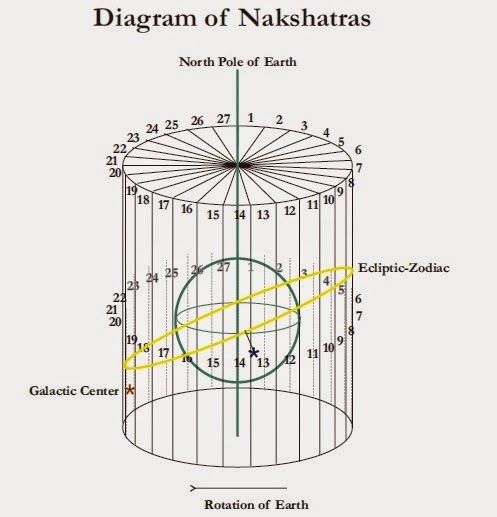 This was NOT accidental and Lord Vishnu took the Varaha ( boar ) avatar for this, to set things in the proper place, so that the earth continued as a rotating a devolving self excited dynamo using the divine number 108 and the golden ratio 1.618. Sun's diameter is 108 times that of the earth. The distance between earth and moon is 108 times the diameter of the moon.. The distance between the Earth and Sun is 108 times the diameter of the Sun . DESPITE ALL THIS THE IMMORAL WHITE MAN RIDICULED INDIANS OF BELIEVING THE EARTH IS FLAT. These vulgar invaders robbed us blind in 250 years , converting India from the richest on the planet to the poorest -- and now want to make fun of our poverty. They call us savages after stealing and patenting our intellectual rights. The Hindu divine geometry of Sri Yantra has 3 lines intersect at 54 points (number of Sanskrit / Malayalam alphabets ) with shiva and shakti qualities making the magic number 108.. .
54 devas and asuras had churned for the amrit or holy nectar for Samudra Manthan . All mantras are repeated 108 times. All prayer beads count up to 108. 108 is the numerical equivalent of OM , in sync with the rhythms of time and space and represents perfect totality. There are 108 upanishads. Nataraja's cosmic dance has 108 Bharatanatyam poses. 12 rashis and 9 navagrahas multiply to 108. Ayurveda and Kalari has 108 marmas. Shiva, Ganesha and Krishna has 108 names. The 108 th and heaviest element in the periodic table is Hassium ( 108 protons ) . The rest are too short lived. We name our children out of 108 starting sounds. Lord Viṣṇu appeared before King Nābhi with four arms. He was very bright, and He appeared to be the best of all personalities. Around the lower portion of His body, He wore a yellow silken garment. On His chest was the mark of Śrīvatsa, which always displays beauty. He carried a conchshell, lotus flower, disc and club, and He wore a garland of forest flowers and the Kaustubha gem. He was beautifully decorated with a helmet, earrings, bangles, belt, pearl necklace, armlets, ankle bells and other bodily ornaments bedecked with radiant jewels. Seeing the Lord present before them, King Nābhi and his priests and associates felt just like poor people who have suddenly attained great riches. They received the Lord and respectfully bent their heads and offered Him things in worship. Below: This 3100 year old Druid calendar is a straight lift off a Hindu calendar. Below: This stone on the HILL OF TARA was originally a Shiva Lingam ( black meteortite stone ) . This stone is now under Waterford cathedral. A lot of major Biblical charcters are lifted from Hindu scriptures . Adam is Adama and Eve is Hayyawati , characters from our Hindu Puranas. Adama was the son of Vishnu Kardama. Kardama was the father of Kapila of our Sankhya Philosophy. The bilblical serpent that tempted the couple to eat the apple of the garden of Eden (of the Papa Vriksha- tree of sin ) was Kali Purusha. If all these connections are accurate that would make Adam a younger brother of Kapila. This forest of Eden was on the eastern side of Pradan city 16 square yojanas in size. The Mlecchas are descendants of Adama. Kali purusha who is the presiding demonic angel of this immoral age of darkness (kali yuga) is verily the Satan mentioned in Abrahamic religions , as per our Bhavishya Purana stolen by Rothschild. 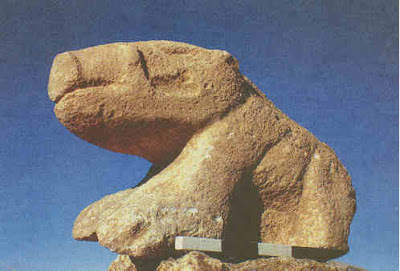 The Stone of Jacob appears in the Book of Genesis as the stone used as a pillow at Bet-El. As Jacob had a vision in his sleep, he then consecrated the stone to God. Th Templar Knights found a black Shiva Lingam ( meteorite stone ) which was called the Stone of Scone . 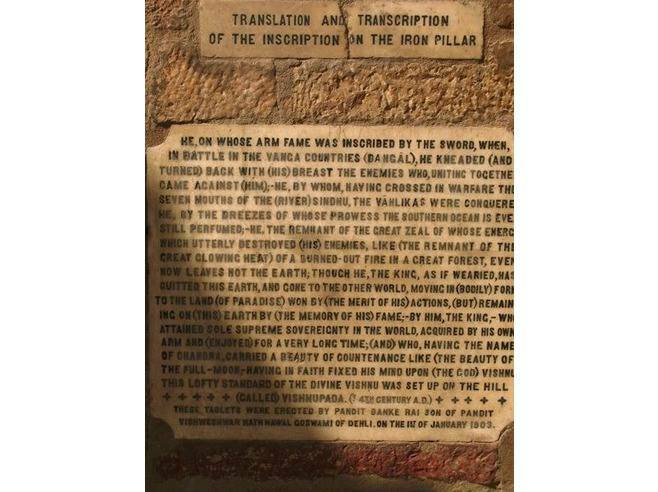 In 1296 the original black Shiva lingam stone was captured by Edward I as spoils of war and taken to Westminster Abbey, where it was fitted into a wooden chair, known as King Edward's Chair, on which almost all English sovereigns have been crowned. Over the years the original black stone has disappeared and a duplicate red sand stone put in its place. The stone of Scone is none other than the Shiva Lingam black meteorite stone used by Jacob as a pillow.. The duplicate Stone of Scone was last used in 1953 for the coronation of Elizabeth II of the United Kingdom. The original is in the vaults of Rothschild. King Robert the Bruce, the hero of Scotland who led Scotland during the Wars of Scottish Independence against England. Was crowned while sitting on the original black shiva lingam or stone of scone. On Christmas Day 1950, a group of four Scottish students (Ian Hamilton, Gavin Vernon, Kay Matheson, and Alan Stuart) tried to steal this duplicate stone of Scone from Westminster Abbey for return to Scotland. In the process of removing it from the Abbey the duplicate red stone stone broke into two pieces. The original black meterorite Stone of Scone ( from a Kerala Shiva temple in India ) has become a HOLY GRAIL in its own right. Men and women have fought to possess it or to obscure it from those unworthy to lay claim to the Stone.